Jack Crayne has been in the real estate business for more than 15 years as a private owner of rentals in the area. 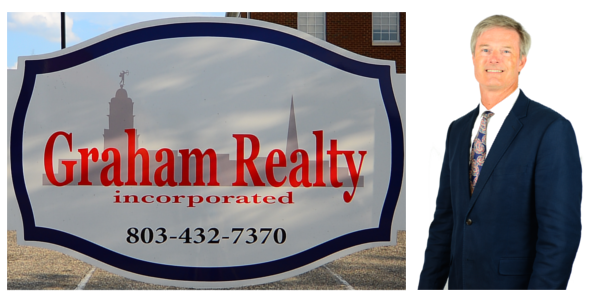 Now Jack is a Licensed Real Estate Agent with Graham Realty Inc. in Camden, SC. Jack is ready to show you what Camden, SC, Lugoff, SC, Lake Wateree, SC, Kershaw County, SC and surrounding areas have to offer. Graham Realty serves Camden, SC, Lugoff, SC, Lake Wateree, SC, Kershaw County, SC and surrounding areas. Graham Realty has commercial and private listing in the area. Graham Realty is a member of the Columbia MLS organization and has access to all the listing on the MLS. The Agents are Graham Realty are trained and experienced in residential and commercial real estate and are ready to serve you. Jack Crayne can find a house for sale for you in Camden, SC, Lugoff, SC, Lake Wateree, SC, Kershaw County, SC and surrounding areas.